Home » Bedroom Design » Best Alarm Clock For Kids: Wake ‘Em Up Nice & EARLY! Best Alarm Clock For Kids: Wake ‘Em Up Nice & EARLY! Waking your kids up in the morning can be a big challenge especially if they’re heavy sleepers, fall asleep right after you leave the room, or just don’t want to get up. Perhaps your kids wake up fine but it’s time they take responsibility for getting out of bed themselves. Whatever the reason, you need an alarm clock geared towards them and you can find the best alarm clock for kids here. Why Does My Toddler Need An Alarm Clock? Maybe you think that it is too soon for your young child to have an alarm clock. While your toddler probably doesn’t need to get up at a certain time to get to school or other activities, giving them an alarm clock that is geared towards them can be an important teaching tool. Letting your child have an alarm clock at an early age can help them to learn their numbers. 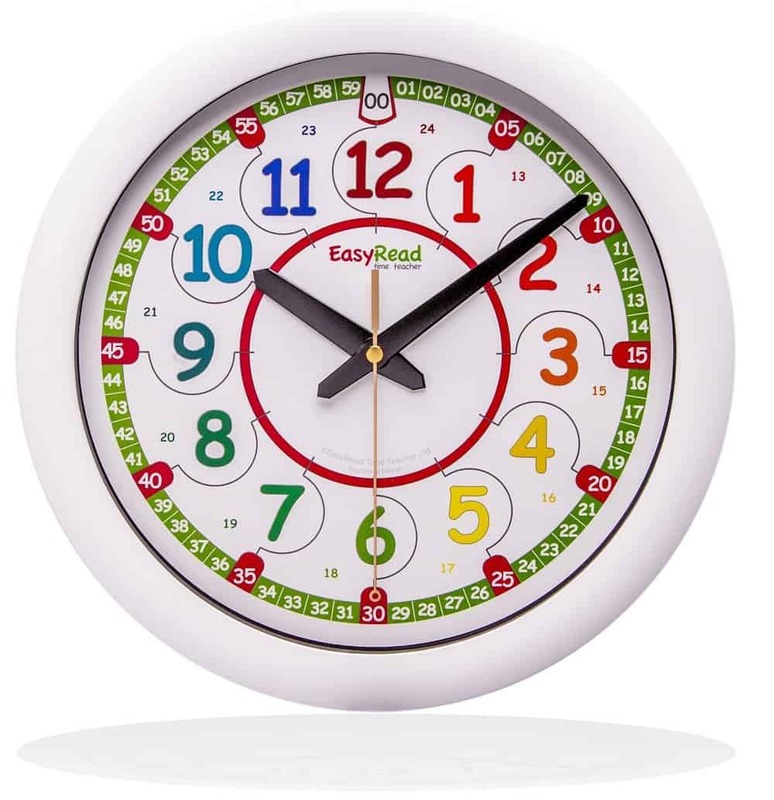 Around the age of three or four your kid will be learning how to count and a clock is a great way to reinforce things they are learning in preschool or daycare. It’s also a good idea to start learning about time at a younger age. While they might not fully understand the concept of time, by helping them to learn about hours and minutes early on you are giving them important building blocks for later on in their education. Right around this time, your toddler is probably transitioning from a crib to a “big kid” bed. This can lead to a few new sleep problems to work through. While they were in a crib, they couldn’t get up and move around the house. Now they are able to get out of bed and often they will wake up a little earlier than you want to wake up. An alarm clock that is geared towards toddlers can help teach them to stay in bed until a certain time. It might not keep them asleep, but it will help them learn that they need to wait to get out of bed and start their day. Toddler alarm clocks use things like lights and music to let them know when it is appropriate for them to get out of bed. As children get older, they should start getting more and more independent. Perhaps they have more responsibilities or can start making more of their own decisions. By letting your child use an alarm clock and get up on their own, you are helping them build their independence. It might seem like a small thing to you, but it can help them feel more grown up and have a little control over their life. This confidence can carry over into other aspects of their life and help them grow more mature and responsible. What's The Difference Between A Kid’s Alarm Clock And A Regular Clock? You might be thinking why is it necessary to get a different alarm clock for your kid than the one you use. There are a few different features that you can find on a kid’s alarm clock that help make it more useful to them than a regular alarm clock. Alarm clocks that are geared more to kids, especially young children, tend to have a simpler design. Children don’t need complicated features or functions like the weather or times zones on their clock. Simply the time and an alarm function are good enough to work for them. Kid’s alarm clocks are also more colorful and fun than a regular alarm clock. They might have bright colors and lights or feature a favorite cartoon character. 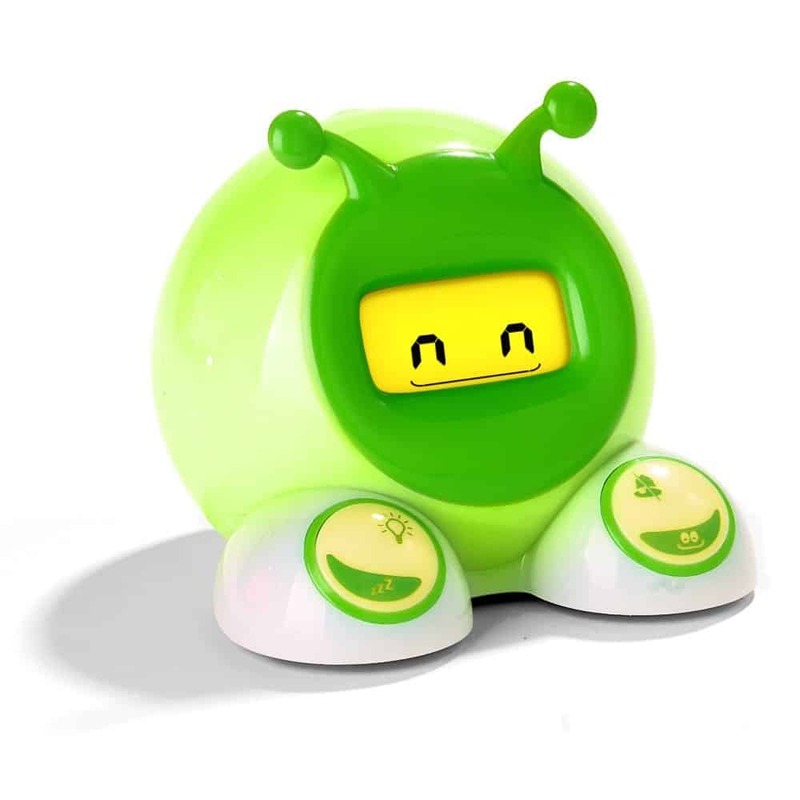 These designs help make the alarm clock fun for kids and encourage them to use it more often. As your child gets older and especially when they enter their teen years, getting them out of bed might become even more of a struggle. Many alarm clocks that are geared towards teens will have an extremely loud alarm sound. There are a few models of clocks that also come with a device that will shake the bed to help wake your kid up. These devices fit underneath the mattress and when the alarm goes off, the device will start to vibrate to help rouse your kid. If you have a kid that just doesn’t want to get out of bed in the morning and falls back asleep the minute they hit the snooze button, an alarm clock that moves around the room might be a good option. Mobile alarm clocks come in a few different varieties that enable them to travel around the room while the alarm goes off, forcing your child to get out of bed to turn off the alarm. You can find alarm clocks that have wheels, shake off the nightstand, or roll around the room in a zigzag pattern. All of these clocks help get your child out of bed instead of constantly hitting the snooze button. Waking up to your favorite song is a great way to start your day. Many kids alarm clocks come with the ability to play music and makes waking up fun and something to look forward to. When your child has the option to program their own songs, they are more likely to enjoy waking up as well as use an alarm clock. How Much Will A Kid’s Alarm Clock Cost? An alarm clock for your kid is not going to be that expensive. You can find many good options in the $20 to $30 range. There are also alarm clocks that have more features that will be more expensive, in the $50 range. It all depends on what type of clock you want to purchase. The simpler the alarm clock the less expensive it is going to be. If you want to have more special features, you might end up paying a little more money. This is a great alarm clock for your middle school child or even your teenager. It is a multifunctional clock that has a lot of extra features beyond an alarm clock. It is a desk lamp that uses 18 energy efficient light bulbs and can be mounted on the wall. It folds to close and open so it can be compact and out of the way when you don’t need to use it. 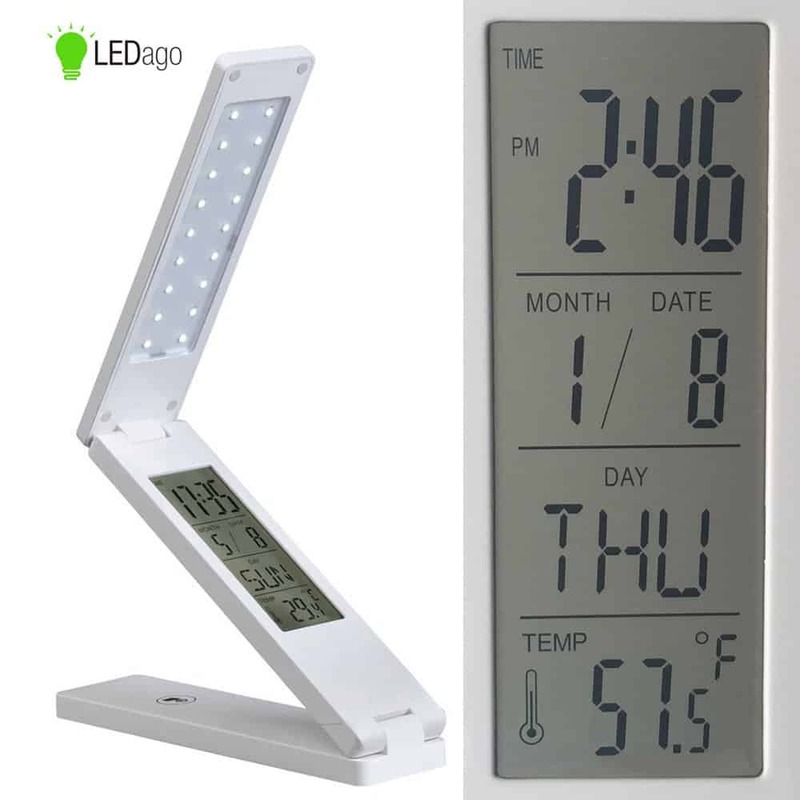 It has a digital clock that also displays temperature, date, and calendar. This clock is also equipped with a Lithium battery and USB port so you can charge all of your smart devices. The clock has a touch screen and an LCD glass panel. This alarm clock is for any kid that is a fan of LEGO’s and the LEGO movie. It is the main character from the movie but on a larger scale. It features a digital clock that has an optional backlight that can be turned on and off. It is battery operated, so it can move wherever your child sleeps and it is also fully poseable so your child can play with it like other LEGO toys. The alarm comes with a snooze function and the whole clock comes with a two-year guarantee. This alarm clock is for the kid that doesn’t wake up with a regular alarm clock noise. 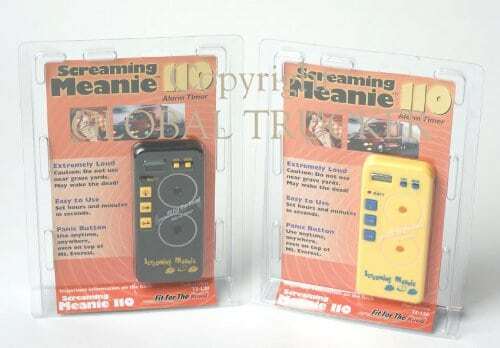 The Screaming Meanie alarm timer is an extremely loud alarm that will wake up even the heaviest sleeper. This alarm timer is not a clock and will not display the time. You can set the alarm to a specific time and when it’s time it will emit an extremely loud alarm sound. It also comes equipped with a light and a panic button. Because it is small and portable, your child can carry it with them and if they ever run into an emergency they can hit the panic button to emit the same loud alarm noise. It also comes in assorted colors so your kid can choose their favorite color. This alarm clock is to help your toddler learn when it is time to wake up and get out of bed. It is an alarm and a nap timer that uses a dual color system to teach your child when it is time to get out of bed. All through the night it will glow with a soft yellow light and when it is time to get out of bed the light will turn green. It can also act like a regular alarm clock and go off at the set time and comes with a snooze button. The nap timer function can be programmed in addition to other alarms that are already set and won’t mess with their ability to go off. All the controls and buttons are hidden so your child can’t play with them and it also comes with two interchangeable face plates. This clock is not an alarm clock, but it is a good tool for your child to help build up to an alarm clock. It will help teach them how to tell time both digitally and analog as they also start to learn their numbers. It features big and easy to read numbers as well as a big minute hand and a short hour hand to help them differentiate between the two. This clock uses a two-step process to help teach time. Your child will learn to look at the small hand to tell the hour and then if they look at the big hand they will be able to see the exact minute because they are all written on the outer rim of the clock. This clock is battery operated and totally silent so it can be in any room without being a disturbance.